"… designated by the State of Israel …" How long will it be before the State of Israel gives rabbinical courts jurisdiction over non-Jews in this country? Recall the Congressional declaration concerning the Noahide Laws — see America's New Government Religion. We might wonder how a California court case becomes a concern of the Israeli Supreme Court? Does loss of formality involve less rigorous examination of fact? Hearsay evidence, for example, is accepted with the same validity as written documents. (26) There is also a concern that a judge who became "more actively involved in the presentation of cases" would be less impartial. A Jewish Court might not be suitable for non-Jews, however. Apparently, Orthodox Jews are not forbidden to officiate in Gentile courts or teach in Gentile law schools. 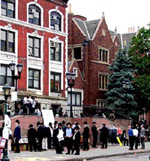 However, Orthodox Jews are not permitted to use Gentile courts for their own disputes. A surprising number of standard contracts in the US now mandate the use of alternative dispute resolution, or arbitration, to handle disputes. You may, for example, find such a provision in a standard credit card agreement. All Gentiles bound by such agreements should be wary of the firm, the arbitrators, and the standards of law that will used to decide the case. Rabbi Baruch Lanner, an official with the Union of Orthodox Jewish Congregations of America ("Orthodox Union" or OU), was arrested and sentenced for criminal sexual conduct with female students under his care. Rabbi Lanner was convicted, and on October 8, 2002 was sentenced to a 7-year prison term. "The rabbi, 52, was taken away in handcuffs Friday from the Monmouth County courtroom in Freehold, N.J., after delivering an emotional plea for mercy that invoked the Holocaust, God and his young grandchild. 'The room was so quiet you could hear the click of the handcuffs,' said an observer who was in the courtroom. 'I am not a monster,' Rabbi Lanner declared, according to published reports. "Jews don't pay attention to the Talmud. It's only for the ultra-Orthodox. It has no relevance to the lives of most Jews, and can hold no legitimate interest for Gentiles." According to the experts, however, the Talmud is more central to Jewish life and to Israel than the Bible is to most Americans. The Talmud has become a coffee-table book for suburban Jewish America! And perhaps a few hundred of such bourgeois purchasers may have perused a few of its difficult talismanic pages. Meanwhile, the proliferation of Judaic studies programs on American campuses disseminated well-informed overviews of the Talmud among thousands of American Jews of the younger generation. The colleges for the study of the Talmud are increasing almost in every place where Israel dwells, especially in this country where millions are gathered for the funds of the two great colleges, the Hebrew Union College of Cincinnati and the Jewish Theological Seminary of America in New York, in which the chief study is the Talmud and its post-talmudical literature. The growing movement towards Talmudism is reflected by the publication of new English translations of the Talmud. Read news of the Schottenstein English translation. These new volumes have been prepared by a team of accomplished scholars who distill the essence of the classic sources and commentators. Acclaimed by a broad spectrum of scholars and laymen, this series fills the need of those who wish to study the Talmud in the classic manner — without over simplification, extraneous material, or unnecessary turgidity. The famous Steinsaltz Talmud of Rabbi Adin Steinsaltz is published by The Israeli Institute for Talmudic Publications - Sifrei Milta. It is the only Talmud translated to Hebrew, fully punctuated and incorporating sentence and paragraph breaks. It includes the famous Beur of Rabbi Adin Steinsaltz which serves both as an introductory commentary, and an illustrated dictionary of the Talmud. For Orthodox Jews, the Hebrew Scriptures are divinely authored and therefore every commandment contained therein must be obeyed. The Mishnah and Talmud are considered to have virtually the same status and are called Oral Torah. But Rabbi Scheinerman does not speak to another aspect of contemporary Judaism: The shift of liberal and Reform Jews towards orthodoxy. Leaders of Reform Judaism will adopt stricter guidelines for religious conversion today, embracing more traditional rites that American Judaism's mot progressive and popular branch has historically rejected. Reform Jewish rabbis said they expect to adopt standards at their annual meeting in Monterey, Calif., that suggest converts commit to keeping a Jewish home, an effort that includes following Jewish dietary laws. Women will be asked to immerse themselves in a ritual bath — known as a mikveh — and men will be asked to undergo circumcisions. The new conversion guidelines are part of a shift in direction unveiled two years ago, when Reform rabbis revised their 'Statement of Principles' to place greater emphasis on mitzvot, the religious laws that govern Jews' daily lives. In the struggle for the soul of American Jewry, the Orthodox model has triumphed. Further evidence of the Talmud's prominent place in modern Jewish life is the activity of traditional Talmudic courts, called "Beth Din," sometimes spelled "Bais Din" or "Beit Din." An Internet search on these terms will reveal dozens of functioning institutions that proclaim they dispense justice as proscribed by the Talmud. 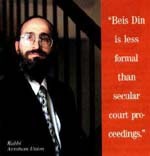 The Beth Din of America has been recognized as one of the nation's pre-eminent rabbinic courts for nearly four decades. It serves the Jewish community in the United States as a forum for obtaining Jewish divorces, confirming personal status, and adjudicating commercial disputes stemming from divorce, business and community issues. Firmly anchored in the principles of halakha (Jewish law), the Beth Din has earned a reputation for conducting its affairs with competence, integrity and fairness. According to the statement, the Beth Din of America has been functioning for more than forty years. Because the Beth Din conducts its cases in a manner consistent with the requirements of secular arbitration law, its rulings are legally binding and enforceable in the secular court system. In Jewish Law, Jewish parties are forbidden to take their civil disputes to a secular court and are required to have those disputes adjudicated by a Beth Din. The LBD [London Beth Din] sits as an arbitral tribunal in respect of civil disputes and the parties to any such dispute are required to sign an Arbitration Agreement prior to a Hearing taking place. The effect of this is that the award given by the Beth Din has the full force of an Arbitration Award and may be enforced (with prior permission of the Beth Din) by the civil courts. According to the Alliance for Authentic Judaism, Jews may not sue fellow Jews in Gentile courts, or even call the police on another Jew. 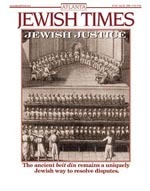 The Alliance cites a number of authoritative sources, including the Shulchan Aruch, the compilation of Jewish law written by sixteenth century rabbinic scholar Joseph Caro. See "A Stern Warning." (10) Notice the use of the word moser in the last paragraph. Mosrim, to digress for a moment, were people who betrayed Jews to governments that would take their money and/or lives for no good reason. In such circumstances — a corrupt government that judged Jews differently from others and capriciously — such informants were seen as a grave danger to the community, and could be killed if necessary. Even when the rabbinic authorities in a town decided not to kill a moser, or any other kind of evildoer, — u-viarta was seen as providing warrant to expel such a person from the community. This example, while not directly applicable to the US or Israel, nonetheless shows that u-viarta as a halakhic concept is still seen as being in full force. "Informing" is generally understood to be a notification to the authorities that someone has violated the law of the land. It implies that the subject of the informing, who is a Jew, is living in a Gentile nation and is violating the law. We must suspect that the "informer" is actually a whistle blower. 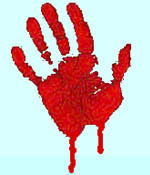 Rabbi Rosenblatt and Rothstein tell us that the doctrine concerning murdering informers is still in force, but not directly applicable to the US. 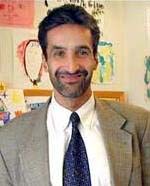 Rabbi Rosenblatt is the rabbi of the Riverdale Jewish Center in Riverdale New York, an upscale suburb. Rabbi Rothstein is his associate. They are not "loose cannons" or members of a fringe group. Misprision of felony. 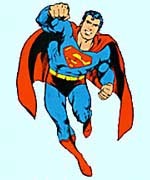 … Whoever, having knowledge of the actual commission of a felony cognizable by a court of the United States, conceals and does not as soon as possible make known the same to some judge or other person in civil or military authority under the United States, is guilty of the federal crime of misprision of felony. 18 U.S.C.A. § 4. In light of the prohibitions on turning a Jew over to Gentile authorities, how can the Rabbi Lanner case be explained? It may seem to be an exception, but we examine the details of that case in the Appendix: The Lanner Case. It is a mitzva to publicize the names and addresses of Jewish mosrim and their supporters, in order for Jews to know from whom to stay away. Whoever knows of a moser that hasn't repented, it is forbidden to assist him in any way until he repents. The Alliance for Authentic Judaism states that rabbis who advise Jews to go to Gentile courts are leading the public to sin, and their names should be publicized. No Jew, even if he is a rabbi or leader, is allowed to permit other Jews to go to non-Jewish court before summoning the other party to Beis Din, without following the procedure as described above (paragraph 2). Just as no rabbi or leader can allow the worship of avoda zora or the desecration of Shabbos, likewise permitting Jews to go to non-Jewish court is prohibited. If one did so, he is considered a "machtei es horabim" (one who causes other to sin) and is required to be excommunicated. 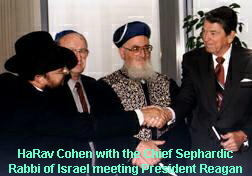 The Rabbinical Court of California and the West Coast, headed by HaRav Gavriel Cohen is authorized to handle all matters of Jewish religious law, and is designated by the State of Israel to serve the western United States, Canada, Mexico and the Far East in matters of Halacha (Jewish law). All traditional services of the Beit Din are available from competent and compassionate legal authorities. The validity of decisions and decrees of the Beit Din have been upheld by the Supreme Court in Jerusalem, and are recognized by both Ashkenazi and Sephardic leaders. According to the Los Angeles Business Journal, another rabbinical court — the Rabbinical Council of California, which, despite Israel's designation, seems to operate in the same jurisdiction as the Rabbinical Court of California — is being used by Jews and non-Jews alike. But the Beit Din isn't just for Orthodox Jews. Driven largely by the increased appeal of arbitration, it has become a popular option for both non-Orthodox Jews and non-Jews attracted to its practical benefits. In secular court, hearsay or evidence admitted out of court is not admitted into testimonies, but under Jewish law, oral transactions or agreements carry as much weight in court as do those that are written, he said. Further, Jewish law does not recognize the statute of limitations, and adjudications are kept private. We wonder if the Rabbinical Council of California tells its non-Jewish clients that under Jewish law, Jews are favored over Gentiles. MISHNAH. … WHERE AN OX BELONGING TO AN ISRAELITE HAS GORED AN OX BELONGING TO A CANAANITE, THERE IS NO LIABILITY, (6) WHEREAS WHERE AN OX BELONGING TO A CANAANITE GORES AN OX BELONGING TO AN ISRAELITE, WHETHER WHILE TAM OR MU'AD, THE COMPENSATION IS TO BE MADE IN FULL. The Mishnah, bearing such facts in mind, therefore declares that if a Gentile sue an Israelite, the verdict is for the defendant; if the Israelite is the plaintiff, he obtains full damages (B.K. iv. 3). The following passage from the Gemara is often cited as an example of unequal treatment accorded Jew and Gentile by Jewish judges in civil court cases, and more generally, as an example of anti-Gentile doctrines among Jews. GEMARA. … To [escape] murderers or robbers or customs-collectors one may confirm by a vow a statement that [e.g.] the grain is terumah or belongs to the Royal Court, though it was not terumah and though it did not belong to the Royal Court. But [why should] to customs-collectors [not] apply the statement made by Samuel that the law of the State has the force of law? R. Hanina b. Kahana said that a customs-collector who is bound by no limit [is surely not acting lawfully]. At the school of R. Jannai it was stated that we were dealing here with a customs-collector who acted on his own authority. But R. Ashi said: We suppose the customs-collector here to be a heathen publican as it was taught: 'Where a suit arises between an Israelite and a heathen, if you can justify the former according to the laws of Israel, justify him and say: 'This is our law'; so also if you can justify him by the laws of the heathens justify him and say [to the other party:] 'This is your law'; but if this can not be done, we use subterfuges to circumvent him. This is the view of R. Ishmael, but R. Akiba said that we should not attempt to circumvent him on account of the sanctification of the Name. Now according to R. Akiba the whole reason [appears to be,] because of the sanctification of the Name, but were there no infringement of the sanctification of the Name, we could circumvent him! In rebuttal, it is said that this passage refers only to the obligations of a Jew to tax collectors from occupying governments, such as the Romans. In a discussion of the treatment accorded to tax collectors, it seems that R. Ashi cites a general rule. We invite the reader to study the text, here in the extract and in the context of the whole chapter and tractate (which we are delighted to make available at Come and Hear™), to determine for himself which is the best interpretation. The Jewish Encyclopedia brings up another important issue: LORD God transferred the property rights of Gentiles to Jews. The barbarian Gentiles who could not be prevailed upon to observe law and order were not to be benefited by the Jewish civil laws, framed to regulate a stable and orderly society, and based on reciprocity. The passage in Moses’ farewell address: “The Lord came from Sinai, and rose up from Seir unto them; he shined forth from Mount Paran” (Deut. xxxiii. 2), indicates that the Almighty offered the Torah to the Gentile nations also, but, since they refused to accept it, He withdrew His “shining” legal protection from them, and transferred their property rights to Israel, who observed His Law. A passage of Habakkuk is quoted as confirming this claim: “God came from Teman, and the Holy One from Mount Paran … He stood, and measured the earth; he beheld, and drove asunder the nations” (Hab. iii. 3-6); the Talmud adds that He had observed how the Gentile nations steadfastly refused to obey the seven moral Noachian precepts, and hence had decided to outlaw them (B. K. 38a). Organizations such as the Anti-Defamation League of B'nai B'rith deny that any discriminatory doctrines ever existed in "normative" (i.e., mainstream) Judaism (see What About Gentiles? (33)). We have just reviewed several of the Talmud's anti-Gentile laws (above). Despite the ADL's assurances, Rabbi Yitzchok Adlerstein, professor of Jewish Law and Ethics at Loyola Law School and director of Project Next Step of the Simon Wiesenthal Center, calls the Talmud, "the world's oldest continuously-practiced legal code." (20) Note that Rabbi Adlerstein says continuously-practiced. Be aware, also, that Jewish leadership is actively promoting the highly discriminatory anti-Gentile Noahide Laws (see America's New Government Religion ). "There are judges around who will not listen to a case unless some attempt has been made to use some kind of alternative dispute resolution," said Rabbi Yitzchok Adlerstein, a professor of Jewish law at Loyola Law School. "The Beit Din happens to be one that works particularly well." The situation of competing Beth dins worries Rabbi Michael Broyde, former director of Beth Din of America and a professor at Emroy University. We met Rabbi Broyde above in discussion of the moser policies in Judaism that authorize the murder of informants. …Broyde's notion of a "sheriff" for the Orthodox "Wild West" is a national beit din that would restore law and order. The Beth Din of America and the Israeli rabbis would certainly have consulted the Talmud tractates on women and marriage contained in the Seder Nashim, which you will find at this website. … this translation of the Talmud will open up for the English speaking readers the most varied and indispensable index to the collective wisdom of the post-Biblical Hebrew mind, and afford direct knowledge of the ordinances which have governed and continue to govern the religious institutions and social polity of the Jewish people. 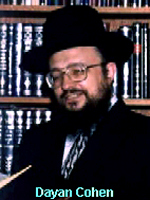 — The late Rabbi Dr. A. Feldman, Dayan of the Beth Din, London. Notice the phrase Rabbi Feldman used: "… which have governed and continue to govern …"
After the destruction of Jerusalem the condition of the Gentiles in general was somewhat improved by the establishment of Roman courts of justice; but the laws of the latter, borrowed from the Persians and modified by feudalism, never attained the high standard of Jewish jurisprudence. Even under the Roman supremacy the Jews were permitted to decide their civil and criminal cases in accordance with their own code of laws, just as in countries like Turkey, China, and Morocco extra-territorial rights are granted by treaty to the consular courts of foreign nations. In a mixed trial where the suitors were respectively Jew and Gentile, the Jew had to abide by the harsh and illogical laws of the Gentiles; and for this the Jew retaliated whenever occasion arose. Talmudic courts have also functioned in Europe. In Poland, under Boleslav the Pious in 1264, and Casimir the Great in 1334, Jews were granted the right to maintain their own courts. Under King Stephen Bathory (1575-86), Jews were also granted their own Parliament and the right to levy taxes on their co-religionists. Jews ran international Talmudic courts in the Middle Ages; in Napoleonic France, Jews also ran their own courts. Like the other two 'Gates' [Baba Kamma and Bab Mezi'a], Baba Bathra shows us the Palestinian and Babylonian Rabbis in the role not of religious guides but of secular judges and administrators, regulating the purely worldly affairs of the Jewish people, and deciding their business disputes. How does the Jewish justice system function in a totally Jewish environment without the interference of Gentiles? For one answer, see And So a Talmud Marriage Ends: "Talmud Divorce in Israel." 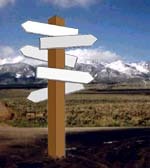 NEXT: The Roadmap 8: What About Gentiles? In light of the prohibitions on turning a Jew over to Gentile authorities, how can the Rabbi Lanner case be explained? It may seem to be an exception, but the details of the case show that it is not. 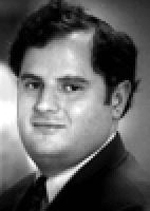 At the time he was arrested, Rabbi Baruch Lanner was a prominent staff member of the Orthodox Union, serving as the director of its youth group, the National Conference of Synagogue Youth (NCSY). In the past Rabbi Lanner served as the principal of the Hillel Yeshiva High School in Deal, New Jersey. Over the course of decades, Rabbi Lanner's students and their parents complained that he sexually abused youngsters in his care. A Beth din was convened to hear charges against him in 1989. He was found guilty of three of the six charges brought against him, but they took no action to curtail his involvement as a youth leader. The complainants, their parents, and supporters, formed a network and over the years worked to find a way to block Rabbi Lanner's access to children. The network eventually gathered momentum within the Jewish community. The Lanner case not only stirred a rare public airing of the issue in the Jewish community, it also provoked intense debate in the community because Lanner allegedly abused scores of teenagers during a 30-year period. The scandal surfaced in June 2000 when the New York Jewish Week first reported the complaints against Lanner. As public reaction swelled, the union appointed the NCSY Special Commission on the Lanner case, and in December 2000 the panel released part of a scathing 332-page report blaming O.U. leaders for ignoring reports of Lanner's abuse and urging major organizational reforms. In at least four instances, NCSY and union officials were "put on direct and specific notice of serious sexual misconduct" by Lanner but failed to heed such "red flags," the report said. In March 2001, a grand jury indicted Rabbi Baruch Lanner on six criminal charges. Mark Fliedner, assistant prosecutor in Monmouth County, New Jersey, spoke to the press about Lanner's prosecution. "The room was so quiet you could hear the click of the handcuffs," said an observer who was in the courtroom. "I am not a monster," Rabbi Lanner declared, according to published reports. Rabbi Lanner could have received up to 20 years, according to Monmouth County Prosecutor Peter Boser. The words of apology from the members of the 1989 Beth din are moving, but their careful mix of encouragement and caution confirms the doctrine: A Jew must not report a Jew to secular authorities, except in certain complex and undefined circumstances. The study is available through connecting links.